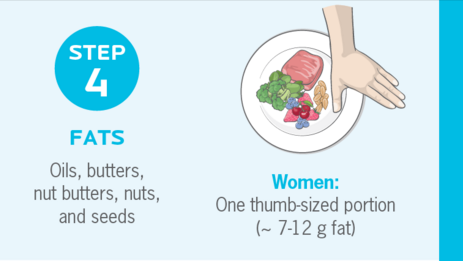 Ever wondered how much food you should actually eat but never got the hang of counting calories? Nope? Well, I have. 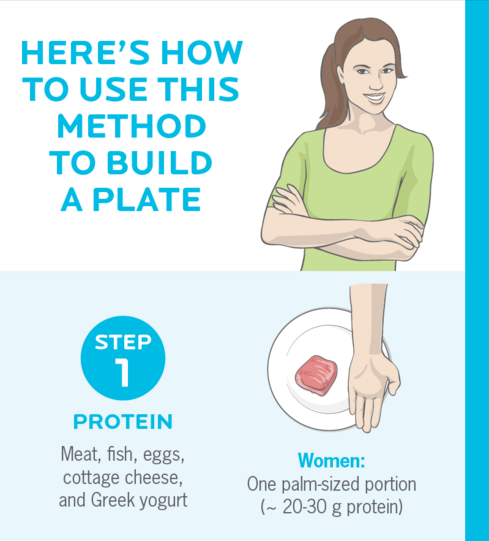 This infographic that I got from Precision Nutrition is quite handy. Yep, pun intended! Cool, right? This just convinced me what I already know: I eat too much carbs. I can polish off two plates of rice! In one sitting! So that's why I never could lose this soft big belly! And I also realized what I've always known anyway: I eat too little meat, not enough vegetables, and a little too much fat. Add sugary drinks and, well, there goes my health! Will definitely use these handy tips for my meals from now on. Must take care of myself since I have three little boys depending on me to stay alive to raise them! 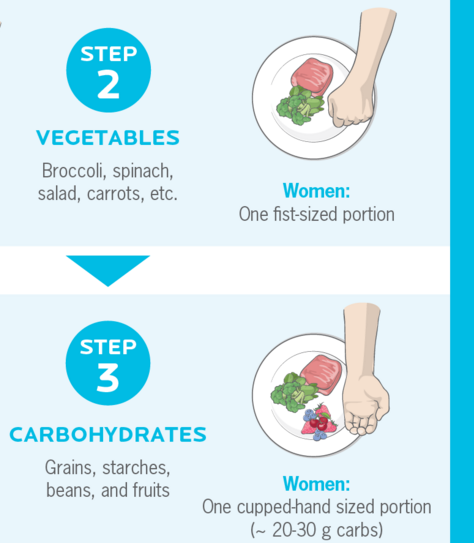 If you're a man, just click the link to find out how to use your hands to measure your portions. UPDATE April 9, 2016, around 3 weeks later: OMG THIS IS SO HARD. I CAN'T DO IT!